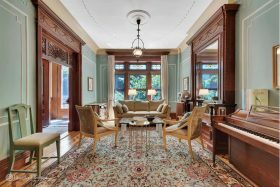 Just two blocks from Prospect Park, this four-story brownstone is rich with original details as well as recent additions. 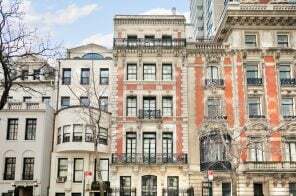 The home is right at the edge of the Park Slope Historic District and, according to the designation report, is a neo-Italian Renaissance brownstone built circa 1895 by one Walter M. Coats. The home has had the same owners for decades and is currently configured as an owner’s triplex over a garden rental with private entrance, and it’s asking just under $4 million.